This looks to be an interesting group build so I'll join. 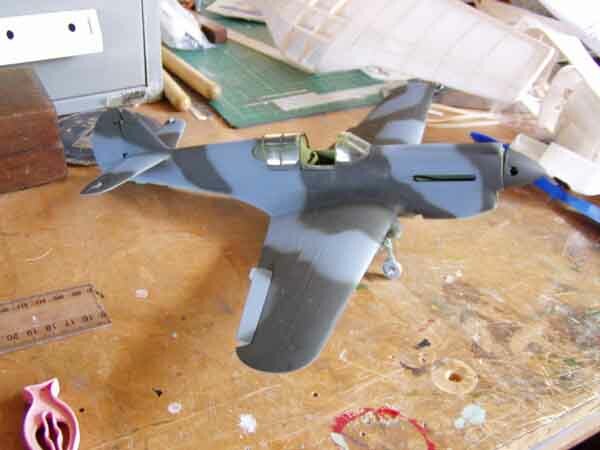 I have the Revell P 40E that I am rather fond of any way so this will be made up with a small amount of scratch. Made a new instrument panel, dails punched out. Don't think I'll do a great deal inside the cockpit aprt from a feww out and ends. Replaced the stacks from a Typhoon as the early RNZAF Mk 1's show from pics. This will be pretty quick as I want to use this as good way to say to the wife "Oh look dear, another one finished. This means another one to replace the empty spot on the shelf"
I'm back with a pic that is from my cell phone as the digital camera that I have been useing has gone back to my bro inlaw. I will get another one soonish. Anyhoo here is the first painting started. Well I'm back with some more information on the Kittyhawk. that I am most fond of. 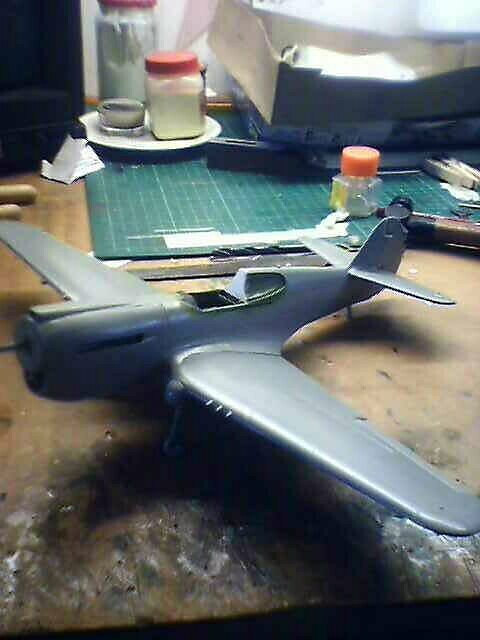 Ok, here is a pic of the P-40 so far. Just a quick note to say the painting has begun with the undersurface. The undersurface is painted the NZ sky that was a rather "green/grey/blue" hue. I used Humbrol 31, one part to 3 parts Humbrol 65. 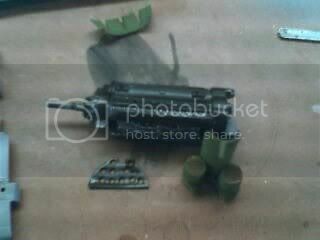 From a chip from a real P40 this is as close as I can get. I will now continue painting. Here is the base paint job done. 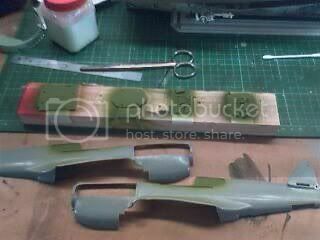 All that is to do is the weathering and application of RNZAF insignia, painted on. The colours are NZ Ocean Blue, often referred to as "Pacific Blue". This is Humbrol 144 "RAF PRBlue". Here are bigger pics with another borrowed camera. One from the side. Excuse the dust etc. Bigger pics! You weren't kidding! Lookin good, can't wait to start mine. Thanks for your replies. The small and big pics, I have an middle size pic that looks about the right size. Got to spaend a little more time with sizeing. My turn to ask you now... which paints and colours are you using? The paints are Humbrol. I do on occasion use Tamiya enamels as I have not really experimented with acylic paint yet. The NZ Foilage Green is a mix of Humbrol 4 parts 81 a rather pale yellow to1 part Humbrol matt Black. 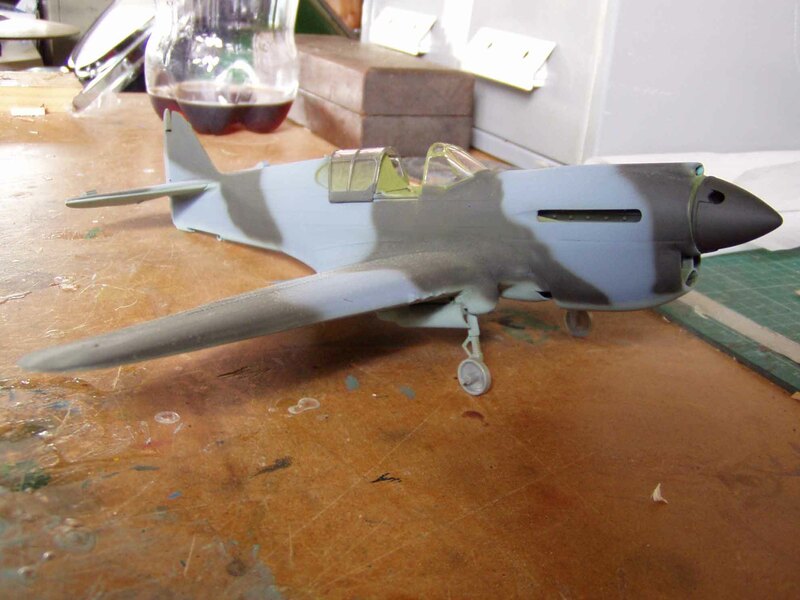 This particular colour mix is pretty well spot on with a paint chip from a Hudson that I have. Humbrol 149 is the same hue as I have spent some time replicating from paint chips. The NZ "Ocean Blue" or Sea Blue is Humbrol 144 right from the tin thinned with turps!! Turps works very well with Humbrol paints and allows a longer time for the paint to settle down matt or enamel. This colour is also RAF PR Blue. Humbrol 31 is Slate Grey and very close to American Neutral Grey. This colour was unique to NZ p40's as it was a late ie 1943 undersurface colour. 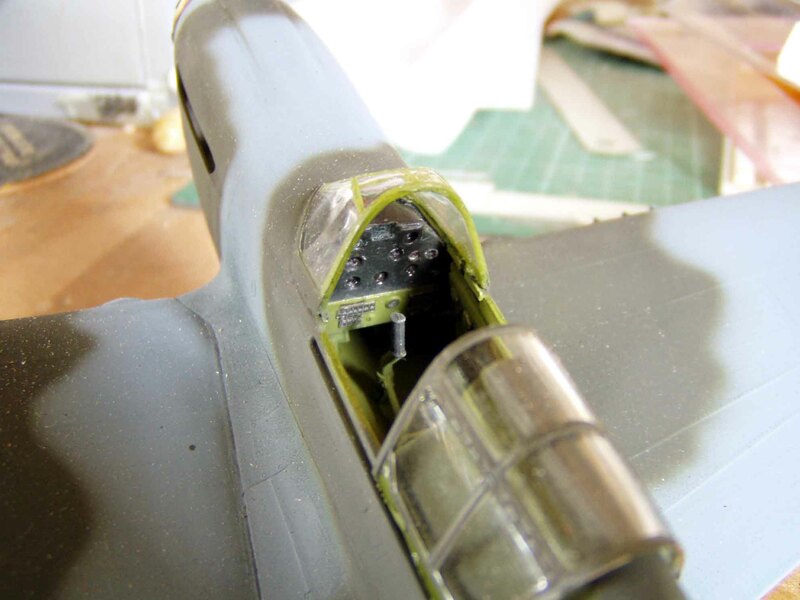 P40's prior to 1943 had American undersurfaces colours of Sky. I hope this has been some help to you in your (I presume here) P-40 in NZ colours? If you where to do a NZ P-40 what will it be ? E or M or N? A good friend of mine once told me that when the late model P-40's arrived, by mistake a sole P-40 merlin engined a/c turned up! They returned it only due to not having any merlin spares! I have had some really good e-mails about NZ colours, if you are interested I can send info to you. You may know more about this subject if you do, do tell.